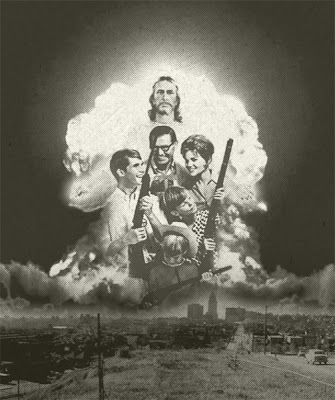 Apocalyptic Post - Ponderings of the Apocalypse: The Family that Nukes together, stays together. The Family that Nukes together, stays together. WWJD? I think its self evident - art by Nick Ferrel - click here.